Osteoporosis is normally associated with older women. That is because this disease of the skeleton, in which bones become brittle and are prone to fracture, usually occurs in women over 55 years of age. But it can also, affect men and younger women. What may be even less well-known is that steps to prevent primary osteoporosis, which commonly occurs after menopause' or develops due to age-related bone loss, should ideally be taken from as early as childhood. The World Health Organization said bone formation is most active during childhood and adolescence and that bone, length and girth increase as the teenager grows, ending at early adulthood when peak bone mass is attained. Dr Manju Chandran, a consultant endocrinologist at Singapore General Hospital (SGH), said: "It has often been said that osteoporosis is paediatric disease that manifests in geriatric times." Stand tall and speak out for your bones is the them of World Osteoporosis Day on Oct 20. Dr Charidran is director of SGH's osteoporosis, and bone metabolism unit, the country's first and only unit that caters specifically to the management of patients with osteoporosis and other bone disorders. He explained that getting your bones in peak shape during the growth period' from puberty to the early 20s is extremely important. It will payoff in your later years." The attainment of peak bone density or mass is heavily influenced by nutrition, hereditary factors, hormonal effects and the environment. The growth years are thus crucial to averting the risk of osteoporosis in later life. Dr Chandrap said that people who have a history of an eating disorder in their growing years can develop secondary osteoporosis. This type of osteoporosis occurs as a result of the treatment of another disease or condition, or as a result of the condition itself. Eating disorders, such as anorexia and bulimia typically occur during mid to late adolescence - a critical period for bone development. The National Institute of Arthritis and Musculoskeletal and Skin Diseases, the United States government's key agency researching into diseases that affect the bones and joints, found that osteopaenia or low bone mass, is common in people with anorexia and that it occurs early in the course of the disease. Girls with anorexia are less likely to reach their peak bone density and will thus have a higher risk of getting osteoporosis and fractures throughout their lives. Moreover, Dr Leonard Koh, a consultant endocrinologist at Gleneagles Medical Centre, noted that the primary medical goal when individuals are diagnosed as anorexic, is weight gain and, in females, the return of normal menstrual periods. He said: "For people with eating disorders and osteopaenia or osteoporosis, the eating disorder has to be treated first before the doctor can effectively treat the bone health issues. However, it is often very challenging to get young girls with eating disorders like anorexia to grasp what they are doing to their bodies." Osteoporosis can happen to men too. Dr Koh said that although bone loss in men over 50 years is more gradual as men do not experience menopause, men are not spared from developing osteoporosis. Although the incidence of primary osteoporosis is lower in men, the consequences of osteoporotic fractures are much more serious for men. Dr Koh said a greater proportion of men die after osteoporotic hip fractures than women. Dr Chandran said a man's life time risk of suffering from osteoporosis-related hip fracture is greater than that of getting prostate cancer. She added that secondary causes of osteoporosis are also more frequently identified in men than in women. .
David (not his real name) developed secondary osteoporosis . after he started taking steroid medication for his auto-immune hepatitis in April last year. The 40-year-old father of three was referred to Dr Chandnihtwo months later because he complained of frequent backaches. A scan showed that the bone density at his spine and hip was low and in the osteoporotic range. Dr Chandran said the chronic use of steroids can lead to osteoporosis and that David's steroid use was a likely cause of his low bone mass density. David and his wife were surprised by the diagnosis. He said: "We thought osteoporosis was something that happened to people in their 60s and 70s." He added that after Dr Chandran started him on medication for his osteoporosis, he has had fewer episodes of spine and hip aches. But David, who' works in the engineering industry, cannot stand or walk for long periods without rest. . He said: "I've always enjoyed doing carpentry and home improvement projects. Now I need the help of my teenage son for the strenuous tasks. He's a strong 16-year-old boy." Where to Get Your Best Vitamin for Bone Health Related Problem Online? Do not know about Xtend-Life? 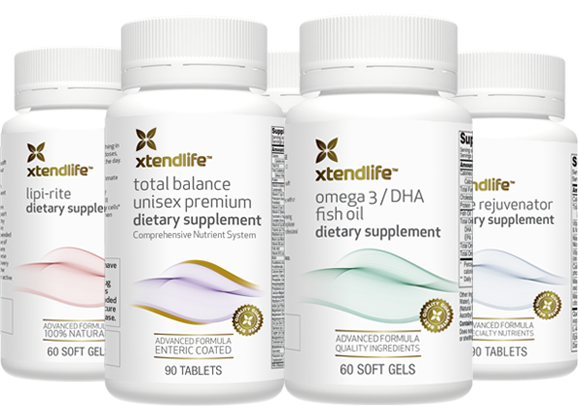 Read aboutXtend-Life Natural Products. Go to top of Bone Health page.